Show Your Soldier Some Love With Our Army Girlfriend Shirts! These Army Girlfriend shirts are the perfect way to show your support! Create a one of a kind shirt that they are sure to love! We even have custom military hoodies! Check out all of our custom military apparel, and customize your own Army Girlfriend Shirt today! You Only Turn 21 Once! Celebrate With a 21st Birthday Sash! Our 21st birthday sashes are a great way to celebrate! Customize one for the birthday boy or girl to create lasting memories! Browse all of our designs and create you own 21st birthday sash today! Customized Girl is pleased to report an increased interest in our custom yoga pants! These comfy pants are offered in pink, grey, black and navy! They also can be customized on both the front, and the back! Join the craze and create your own custom yoga pants for any occasion and browse our custom yoga pants designs today! Spend $13.97 or more and get $5 off with code CG131! Hurry this offer ends 2/6/12! Shop our custom Valentine’s Day gifts today! Here’s a sneak peak at some of our latest Mardi Gras art! Order today and use our Economy Shipping option to receive your apparel by Fat Tuesday! Shop all of our custom Mardi Gras designs today! We have free standard shipping! Use code CG127 now through 1/30/12, 4pm EST on orders over $25! Shop all of our custom Valentine’s Day apparel today! Custom Cheer Apparel for Worlds! The countdown towards the most prestigious cheer and dance competition in the World has begun! 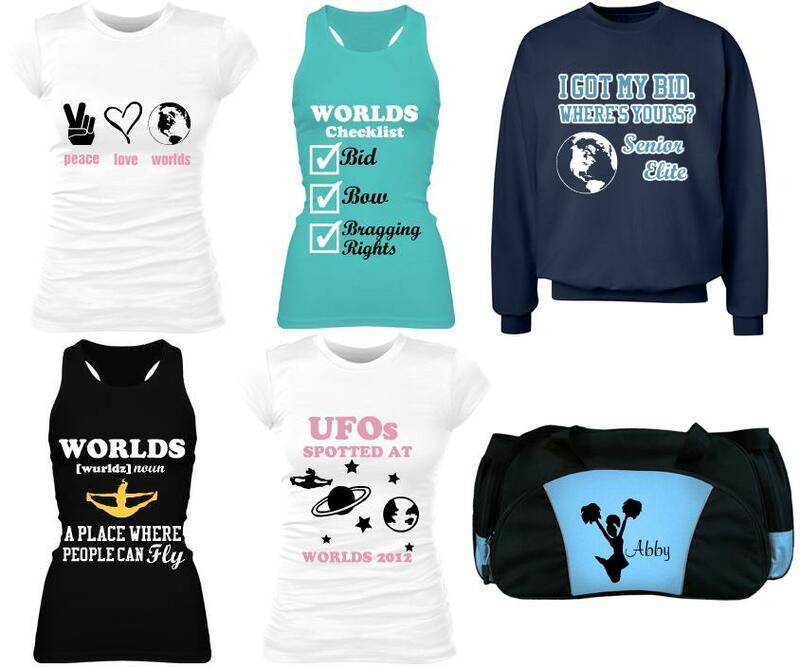 Get our latest custom cheer t-shirts, custom cheer hoodies, and custom cheer bags to help you strut your stuff at Worlds 2012! There’s still time! Order your Valentine’s Day intimates and apparel today with our standard shipping option to receive them by the 14th! Shop our custom intimates and custom Valentine’s Day t-shits today! Here’s one for the guys! 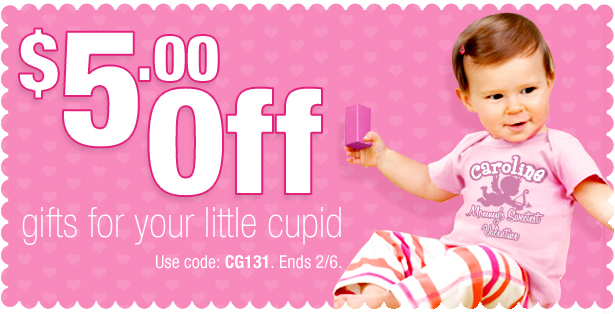 Shop now through 1/30/12 and receive $10 off your purchase of $30 or more with code CG124. Shop our custom Valentine’s Day t-shirts, and our Valentine’s Day boxers! Free Shipping for Valentine’s Day! Get your custom Valentine’s Day apparel by the 14th with our free economy shipping! Use code CG120 and order by 1/23, 4:00pm EST! Hurry this offer only lasts 4 days!